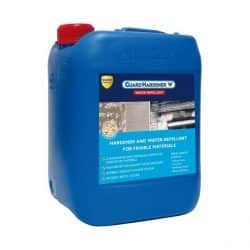 GuardHardener® W is a water-based surface hardener and water repellent in one. 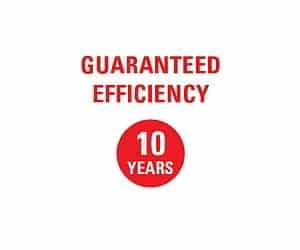 This product will stabilise friable and crumbling materials and will leave create a long lasting hydrophobic beading effect that will protect the surface from further degradation for a period of 10 years. 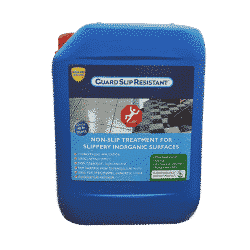 Although this product is water based it is highly alkaline and therefore the use of suitable gloves and goggles is recommended. Likewise use application equipment that is suitable for use with Alkali’s. Guard Hardener® W is a product for mineralising and treating efflorescence, salt attack (or saltpetre), friable materials damaged by intrusion of water, rising damp and frost. It penetrates friable materials certainly to crystallise, harden and mineralise. Once treated, materials become more resistant to degradation. 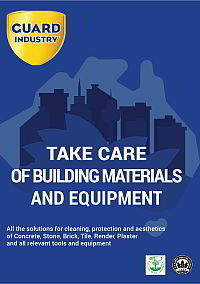 Use Guard Hardener W to strengthen highly friable materials such as soft natural and reconstitued stone. 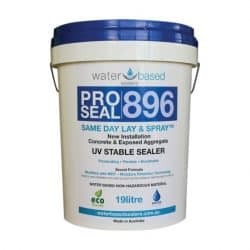 Ideal protection for rammed earth and limestone blockwork. Guard Hardener® W can also be used as an anti-dusting treatment. 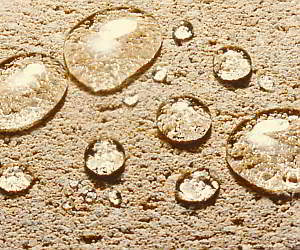 Guard Hardener® W also has excellent water-repellent properties that help to prevent main causes of degradation. Such as water infiltration, rising damp, acid rain, erosion, freeze-thaw cycles, development of micro-organisms, saltpetre and efflorescence. Guard Hardener® W is a non film-forming impregnation product. Substrates remain permeable to air and water vapour. It is completely colourless after application and does not change the appearance or the composition of the treated surface. It is also UV-resistant and does not discolor with age. 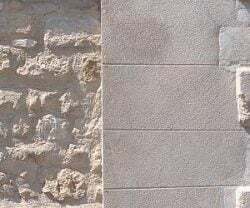 Use GuardHardener W to treat masonry, stone and concrete exposed to water containing salts and minerals. 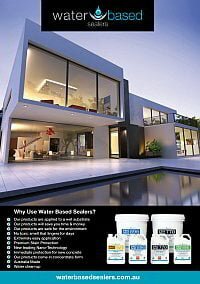 Common applications include pool surrounds (especially headers along the pool edge), in splash zones of water features, retaining walls and other structures subject to rising damp or regular water ingress. Can be used as a prevention or a cure. For best results thoroughly clean surfaces prior to application of GuardHardener W. Remove efflorescence and mineral stain, if present, with Guard Remover Eco Efflorescence and Cement. 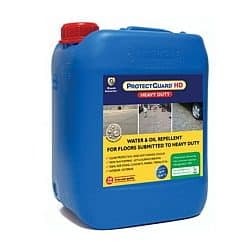 Use Guard Cleaner Eco Soiled Floors to remove any grease oils or general build up of dirt. Hardens and consolidates porous friable materials. 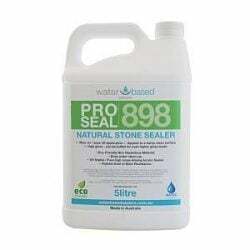 Protects against water, humidity and frost and thus limits development of efflorescence, moss and lichens. Non film-forming, lets a surface breathe. 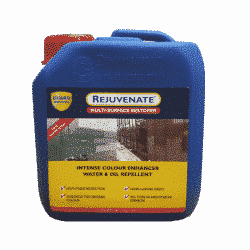 Water-based product, solvent-free and non ﬂamable. 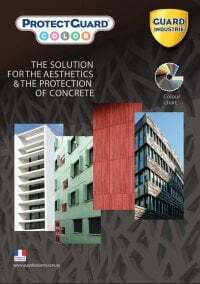 Guard Hardener® W can be used indoors and outdoors on facades, walls, roofings, ﬂoors, screeds and on all porous materials: cement, plaster, concrete, natural stone, brick, render.. 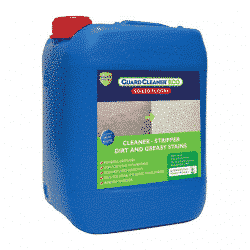 Apply the product to a surface that is clean. A mechanical cleaning with a brush or chemical cleaning can be done. 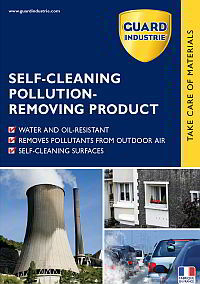 To remove stains and marks of pollution use Guard Cleaner® Polluted facades. In case of greasy stains use Guard Cleaner® Eco Soiled ﬂoors. For efflorescence or saltpetre use Guard Remover® Eco Efflorescence & Cement. Apply product neat – do not dilute. Apply to the point of saturation of the substrate in 1 layer or in 2 layers «wet on wet» according to the porosity. Full efficiency achieved after drying 2 to 7 days. The treated substrate must not be covered by another coating. Hand protection : Wear rubber gloves resistant to chemical products.